Following his arrest in Caldwell County, Missouri in late 1838, the Prophet Joseph Smith was taken to Independence, Jackson County and then on to Richmond, Ray County. He and a number of others were taken to a structure on a site seen in these images that was being used as a jail. The prisoners stayed here throughout the period when a hearing or court of inquiry was being held in the court of Judge Austin King, later governor of Missouri. 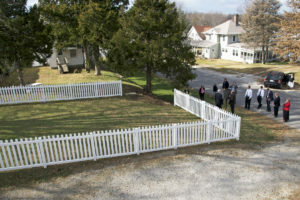 Elevated view of the site where Joseph Smith rebuked the guards at Richmond, Missouri. Photo by Kenneth Mays. Scholar Max Parkin writes that with all the turmoil involving Mormons in 1838, the town of Richmond had to utilize three different sites to utilize as jails. 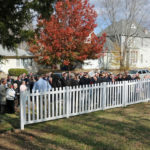 The one referred to as the “old vacant house” housed the Prophet Joseph Smith and several others. On one particular night, the Prophet could no longer bear to listen to the horrid oaths and tales of the guard who boasted of atrocities committed against the Saints. On that occasion and at this site, the chained Prophet rose to his feet and, in the name of the Lord, rebuked the guards. They ceased their speaking and quietly waited out their shifts of guard duty. In recent years, the land where that jail once stood was acquired and fenced to identify the site. A historical marker was purchased and erected there as well. 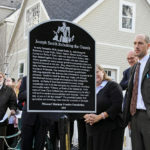 It was unveiled on November 19, 2011 at a ceremony presided over by Jeremiah J. Morgan, president of the LDS Liberty, Missouri Stake. Historical marker at the site where Joseph Smith rebuked the guards at Richmond, Missouri. Photo by Kenneth Mays. 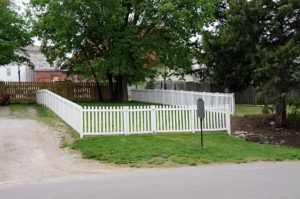 The site of the jail in which Joseph Smith rebuked the guards is presently a vacant lot. 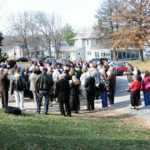 It is located one block north of the courthouse square in Richmond, Missouri on Buchanan Street. The fenced lot is on the south side of the street between Thornton and College Streets. The gps coordinates are: 39°16’48.16″ N; 93°58’38.15″ W. The historical marker is situated next to the fenced lot. 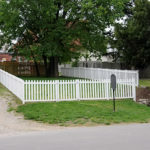 The site of the jail in Richmond, MO where Joseph Smith rebuked the guards is privately owned by two members of the Church of Jesus Christ of Latter-day Saints. They have chosen to remain anonymous. 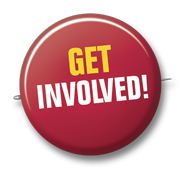 They encourage interested persons to visit the site and read the information on the marker. Proper treatment of the property is, of course, expected and appreciated. 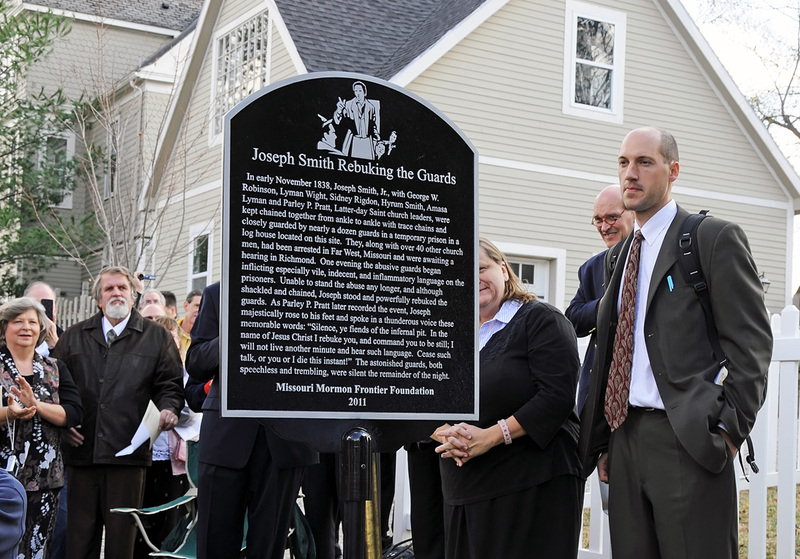 The dedication of the site and marker where Joseph Smith rebuked the guards at Richmond, Missouri. Photo by Kenneth Mays. The dedication of the site (and marker) where Joseph Smith rebuked the guards at Richmond, Missouri. Photo by Kenneth Mays. Alexander L. Baugh, “‘Silence, Ye Fiends of the Infernal Pit!’: Joseph Smith’s Incarceration in Richmond, Missouri, November 1838,” Mormon Historical Studies, Spring/Fall 2012, Vol. 13, Nos. 1-2, 135-159. Max H Parkin, in LaMar C. Berrett, ed., Sacred Places, Vol. 4, 250-253.